In honor of the fact that I was born...a number of years ago today, I wanted to share with you all something very special. Be Nice to Spiders. The first book I remember reading. My neighbors, who babysat me, used to read me this book when I was just a baby. By the time I hit age 3 or so, I was reading it on my own. 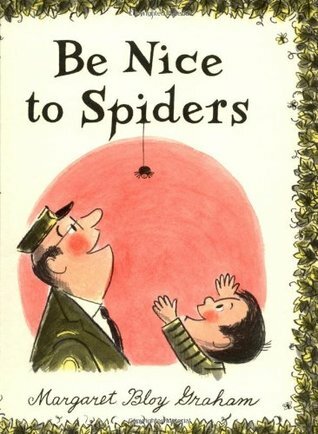 It's about a little boy who takes on a campaign to save the spiders at the zoo from being killed, by showing everyone all the awesome things spiders can do! Irony: I am deathly afraid of spiders. I attribute this mostly to evolutionary psychology and 5-year-old C.J. watching Arachnophobia. No picture book could have prepared me for that. 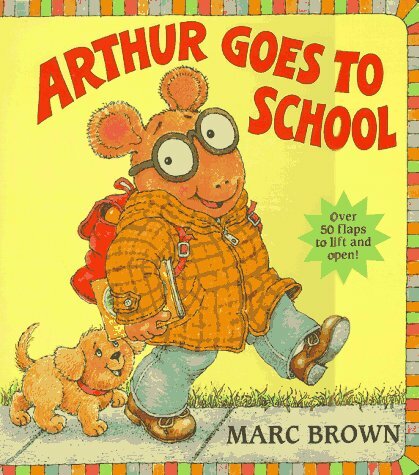 So, my first book is actually a close tie with Arthur Goes to School, but the involved parties can't be quite sure. I have pretty clear memories of reading both and no one has yet established a satisfactory timeline, so Be Nice to Spiders wins. But I definitely loved reading this book, especially when mom and I had quiet reading time. It's one of those interactive books and I freaking loved opening all the flaps. Probably obsessively. * Fun fact: I scheduled this post at the time I was born (CST). Oh, wow! The fact that you can remember a book from when you were three---that's incredibly impressive. I remember a few books from grade school, but nothing from back that far. Happy birthday!!! Probably because I read it so many times. xD I was a perseverative little bugger. Thank you!! !